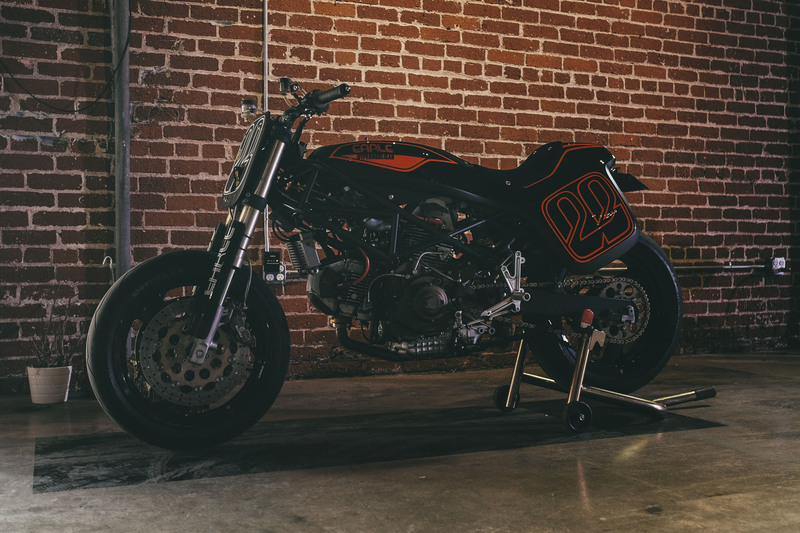 Southern California is known the world over for its year round riding weather, exciting coastal and canyon roads, and its less than exciting horrendous traffic. 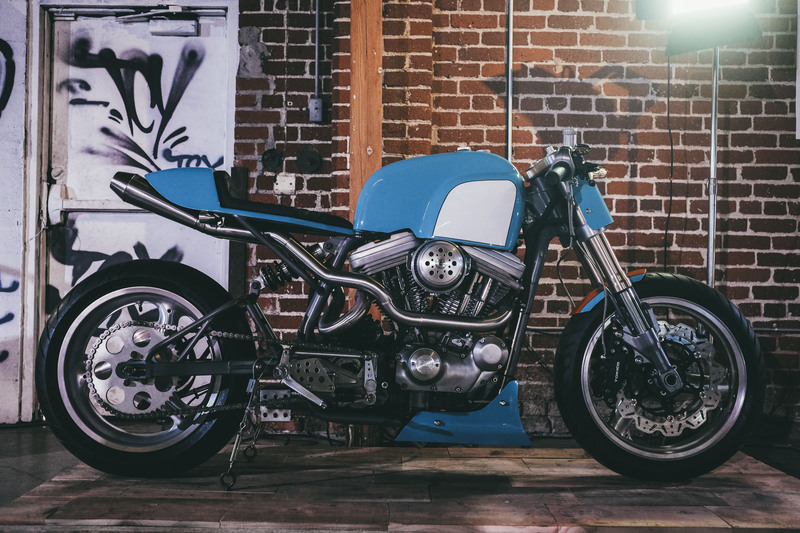 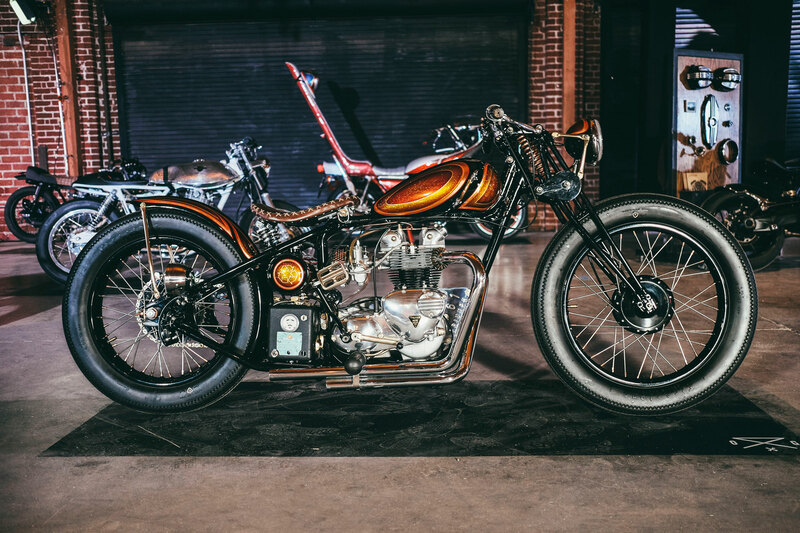 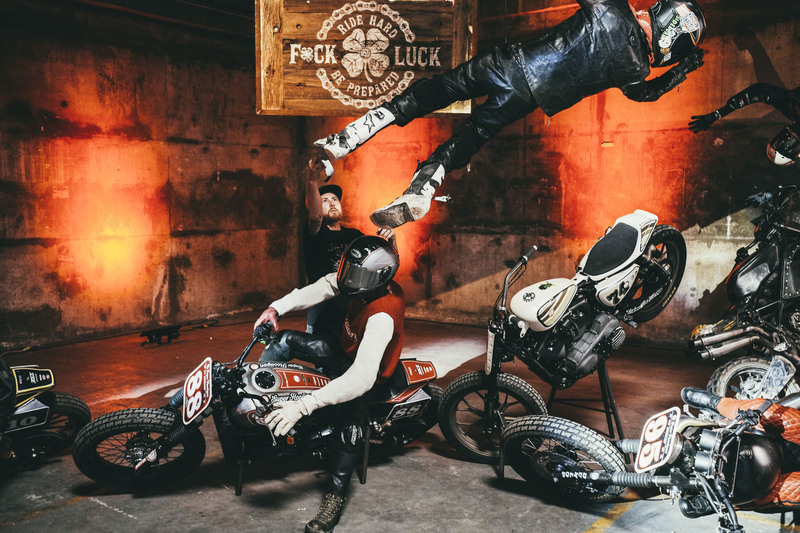 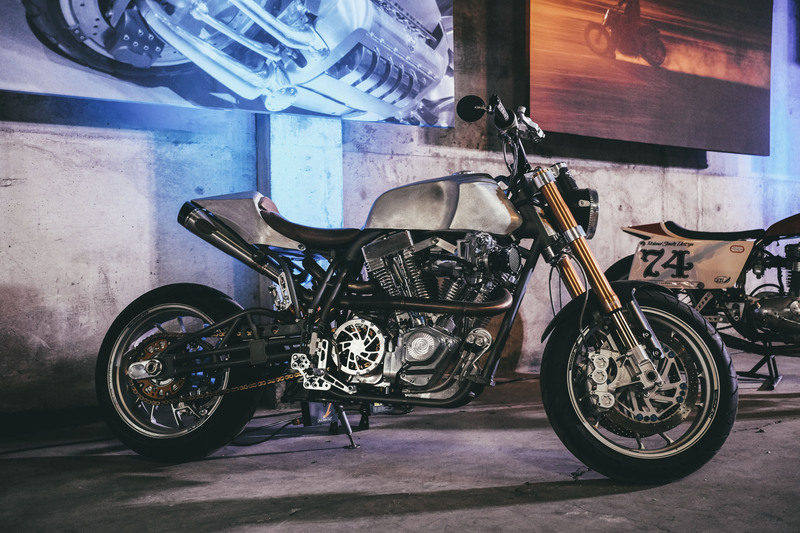 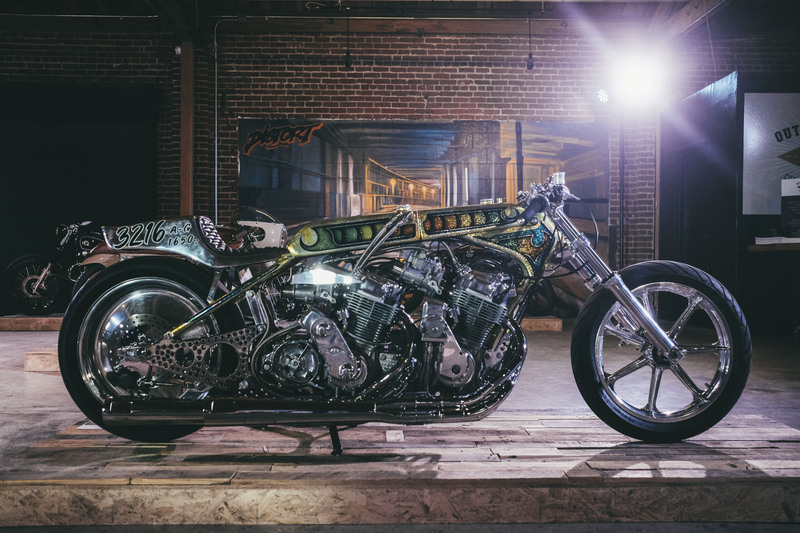 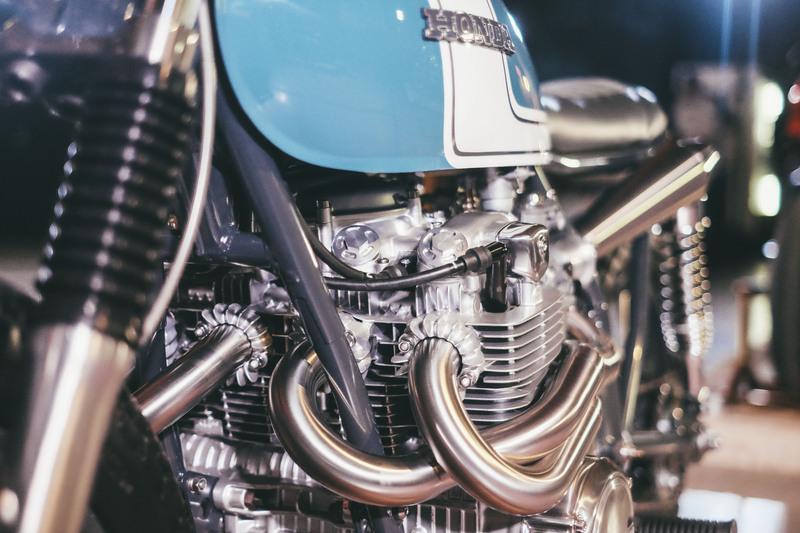 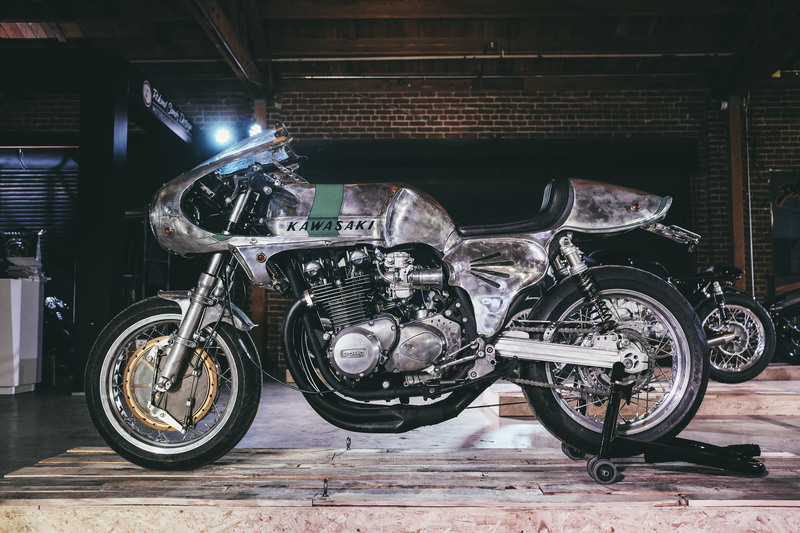 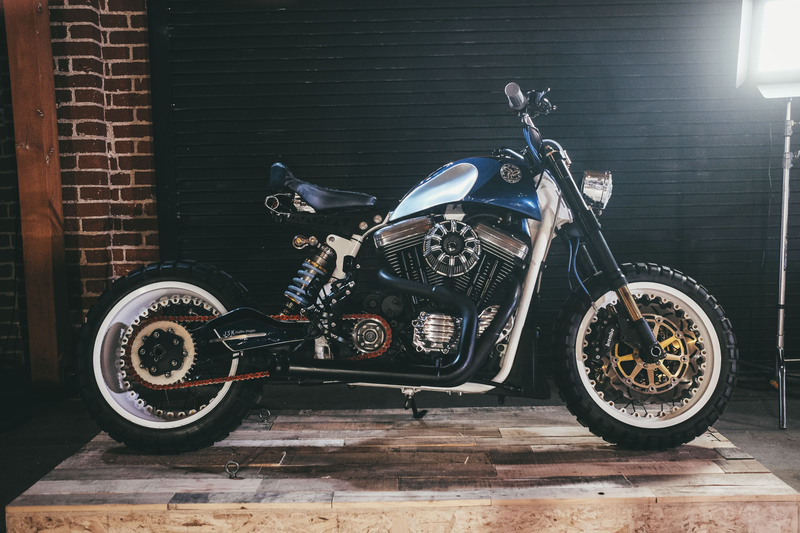 It’s a place also renowned for its growing influence on motorcycle culture, and now another exciting motorcycle show has been birthed to show off some of the best and most creative custom builds in the US. 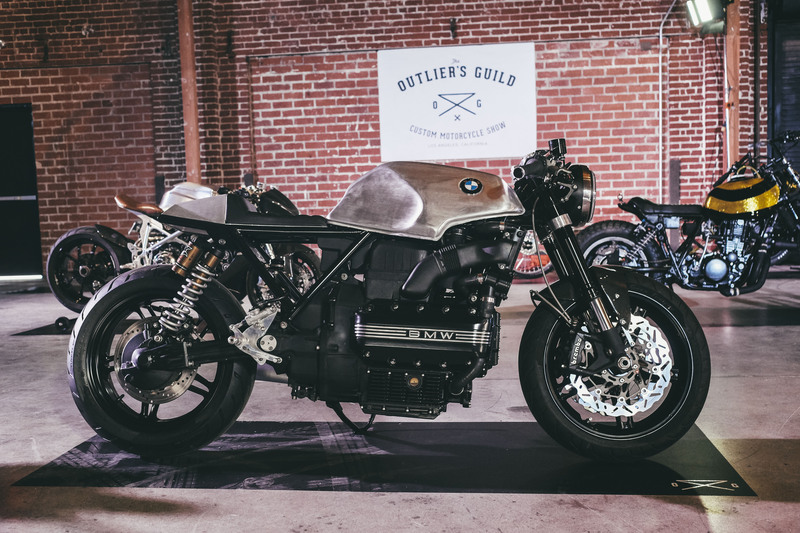 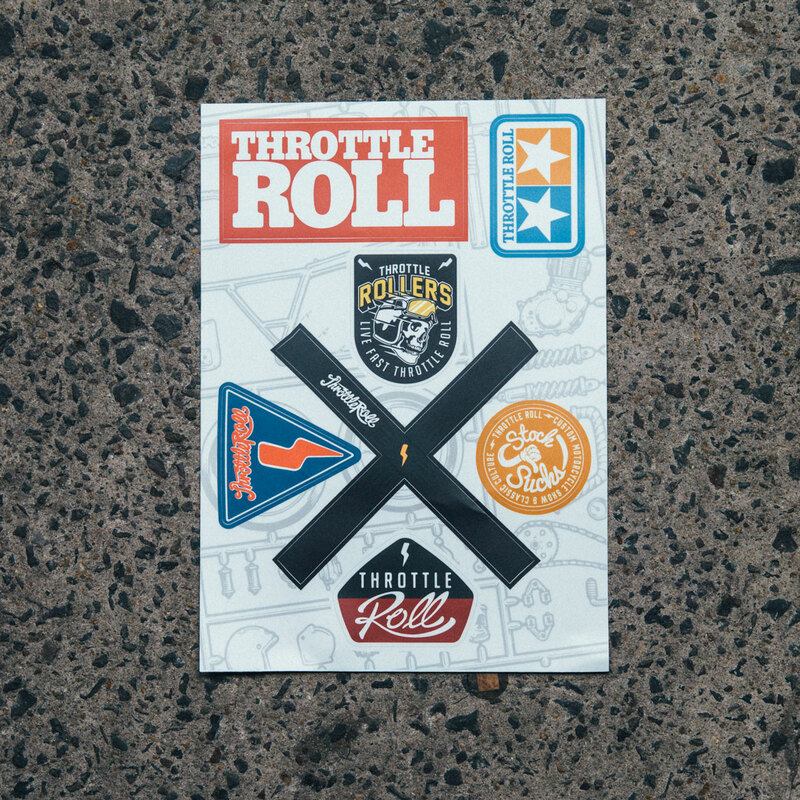 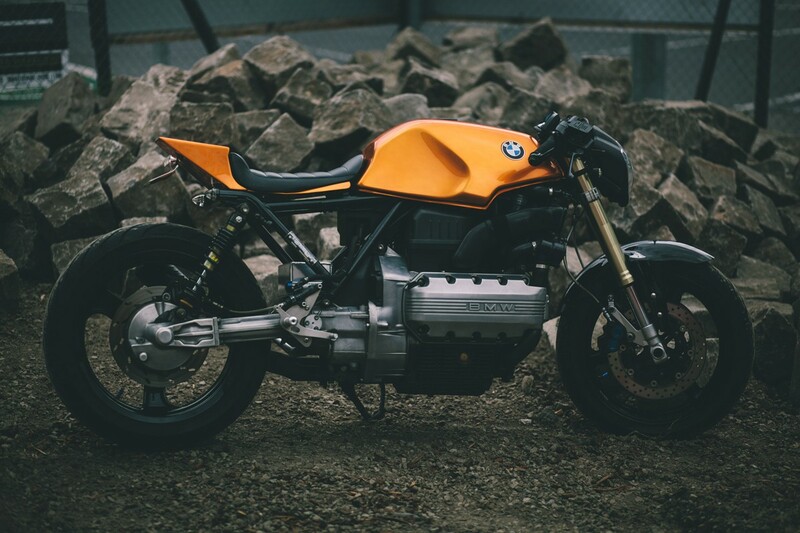 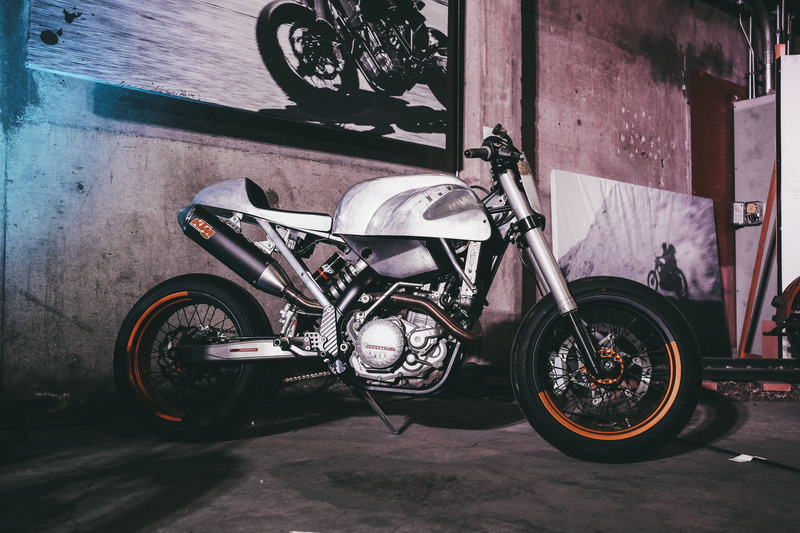 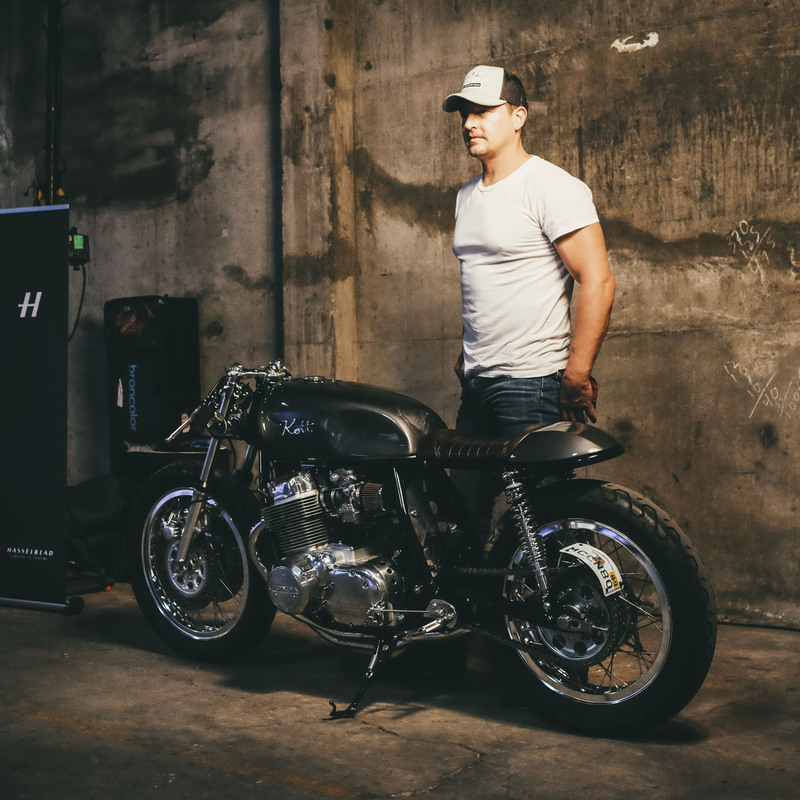 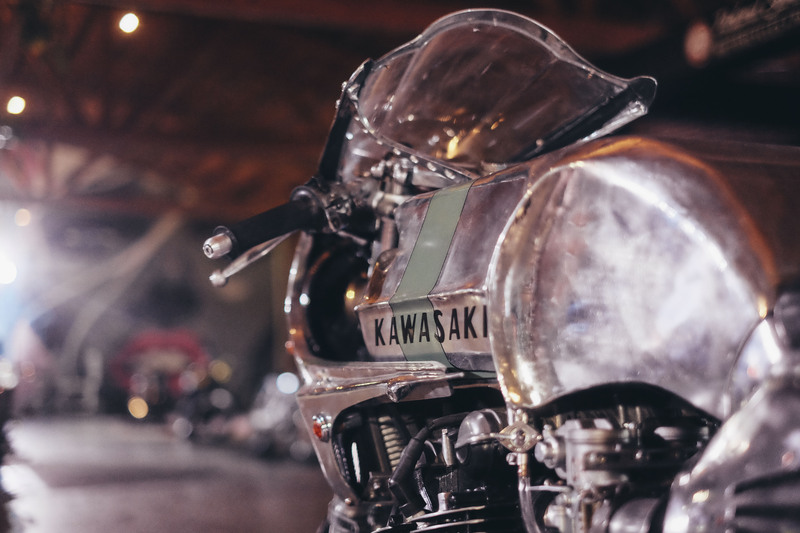 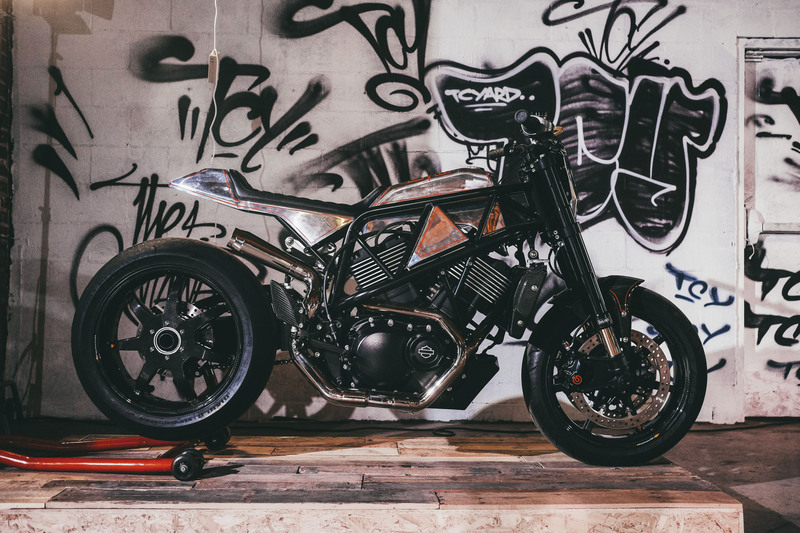 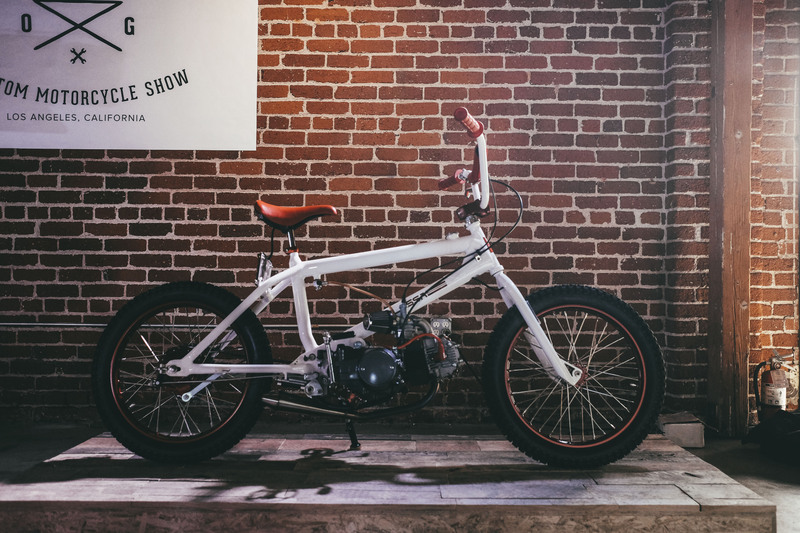 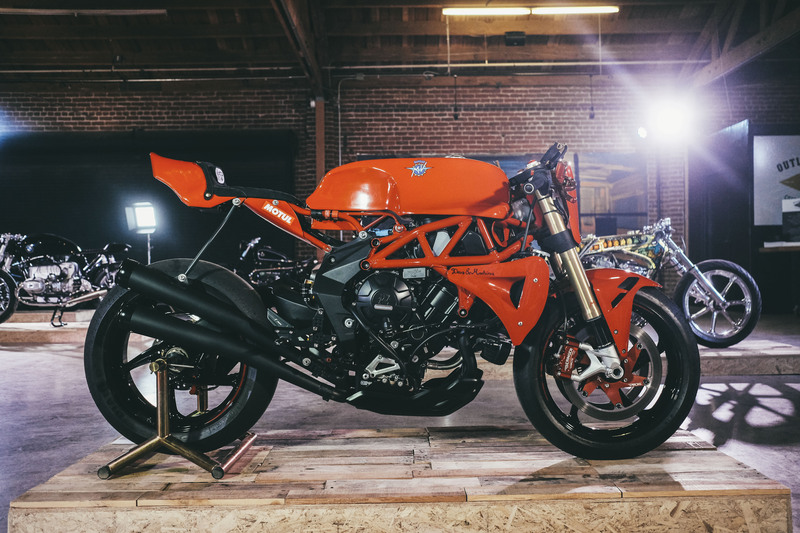 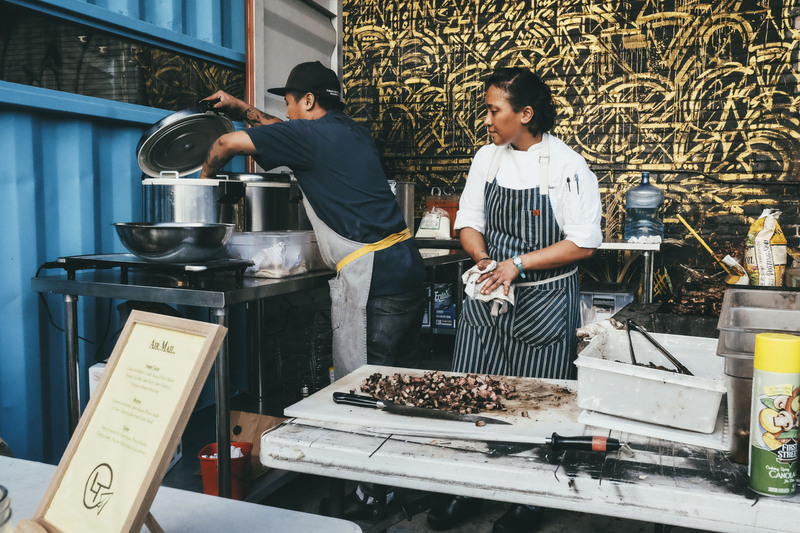 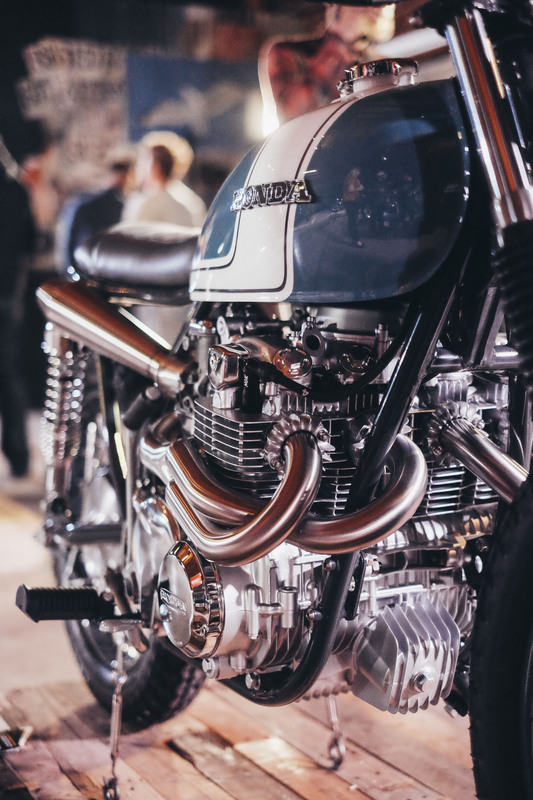 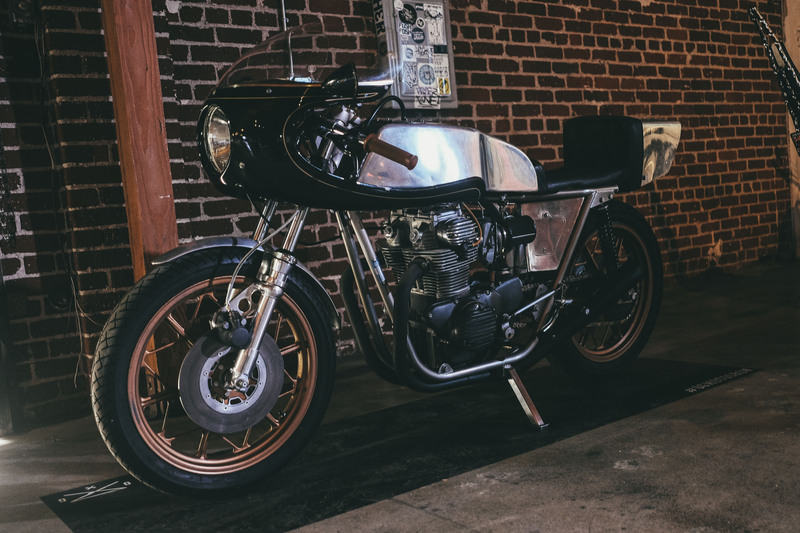 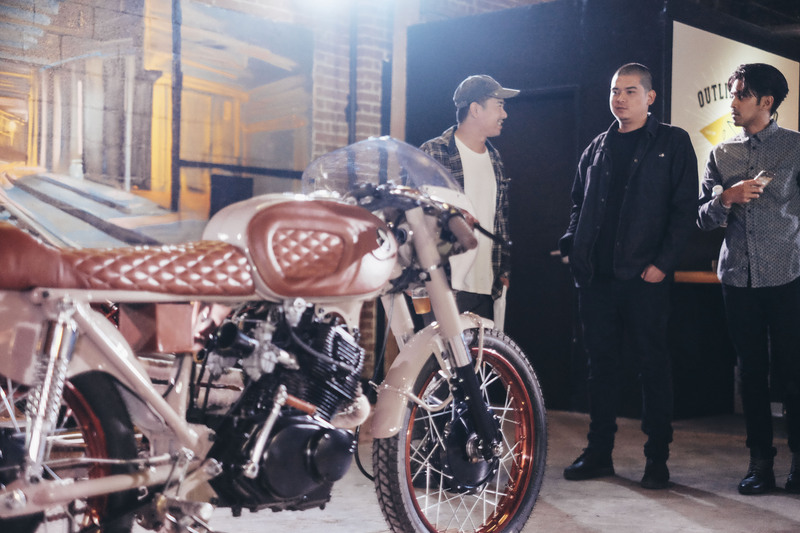 This year we were treated to what will hopefully be a continuing trend in the custom motorcycle scene and a staple event in Los Angeles, the debut of the Outlier’s Guild Motorcycle Show. 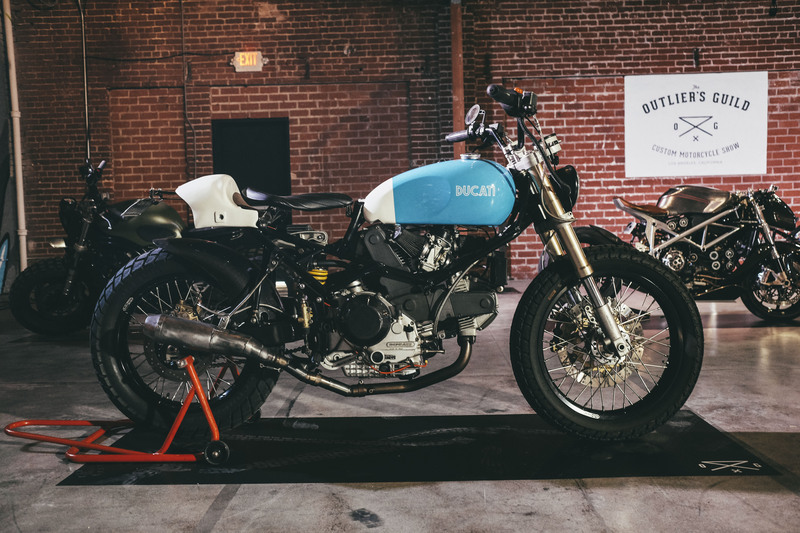 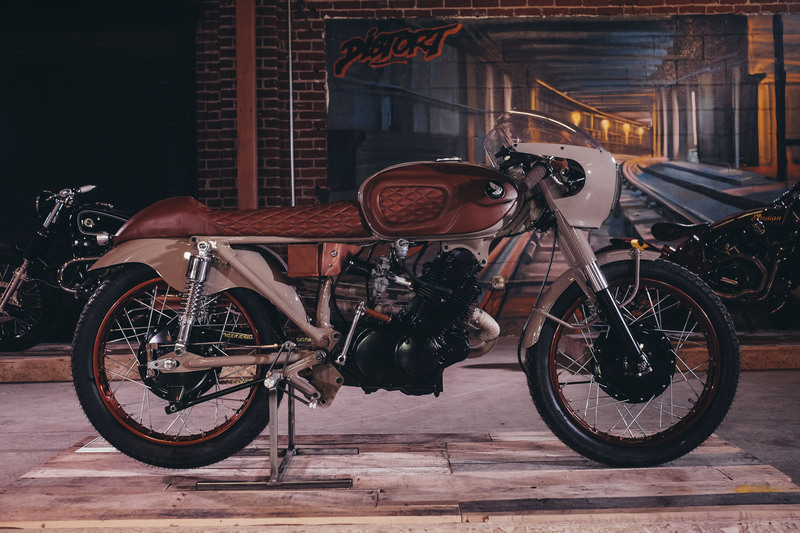 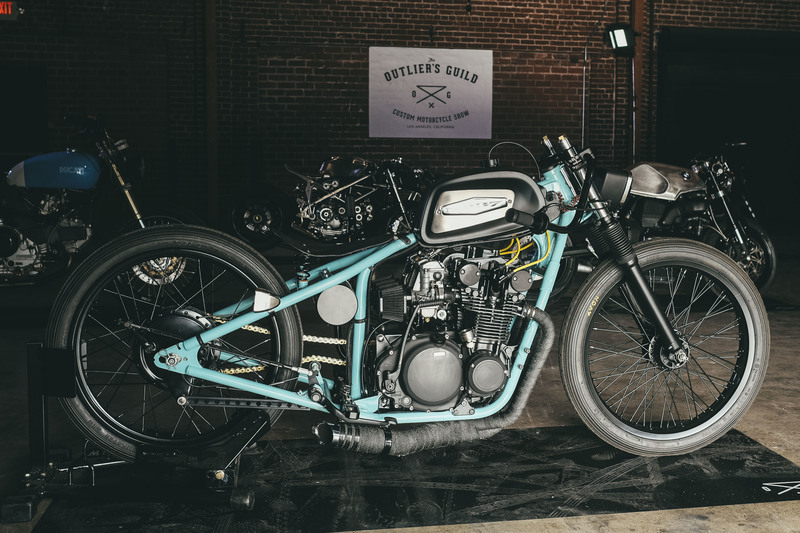 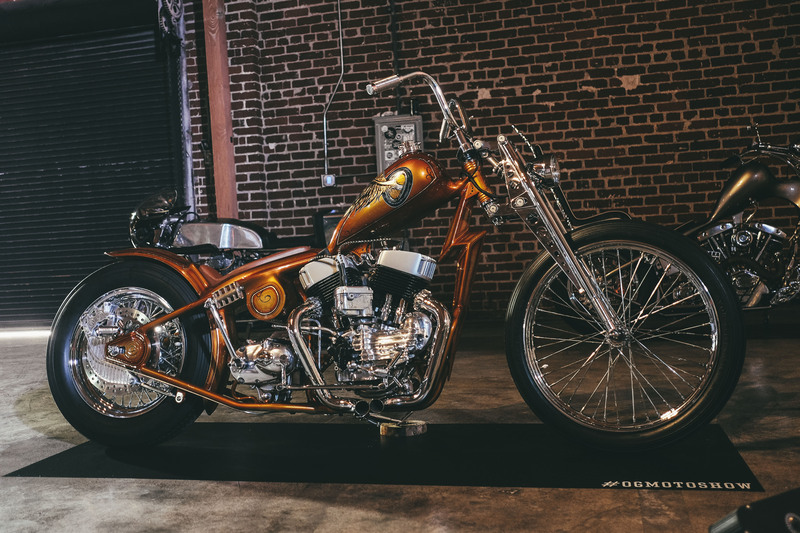 Organised and presented by Stan Chen, John Pangilian & Jay LaRossa of Lossa Engineering and supported by Roland Sands of Roland Sands Design, The Outlier’s Guild Motorcycle Show was held in Downtown Los Angeles on May 6, 2017 at The Container Yard. 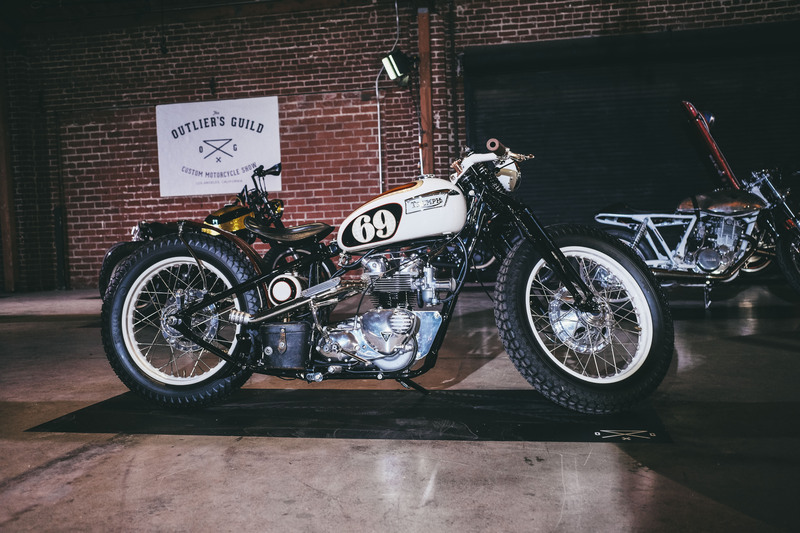 The event showcased select custom Café Racer, Bobber, Classic, Tracker, Scrambler, Modern Classic, Brat style from legendary and up and coming builders Michael “Woolie” Woolaway, Shinya Kimura, Mitsuhiro “Kiyo” Kiyonaga, Dustin Kott, Brian Sloma, Kim Boyle, Craig Marleu, Brawn Built, Justin Webster, Ezikiel J Dacanay, Aaron Guardado, Roland Sands, and Len Higa. 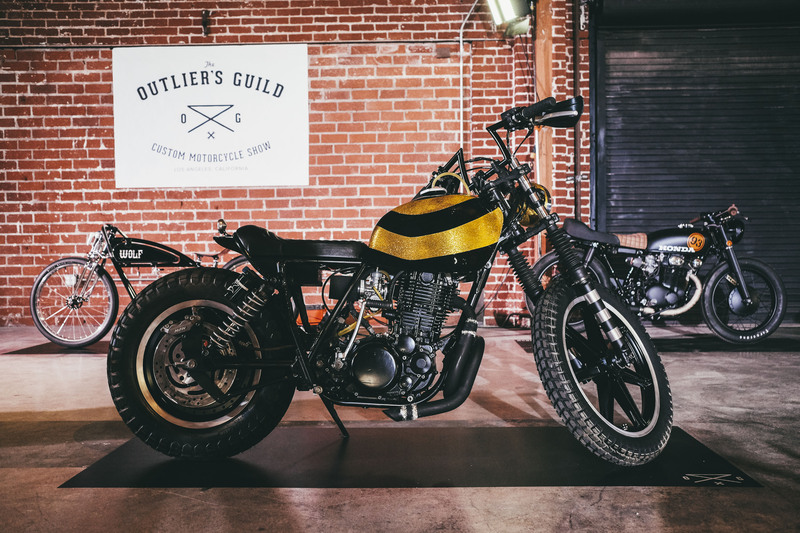 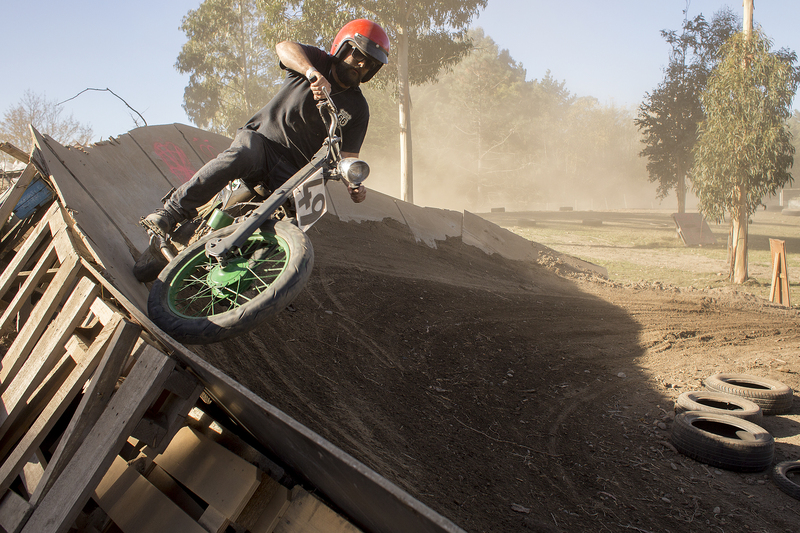 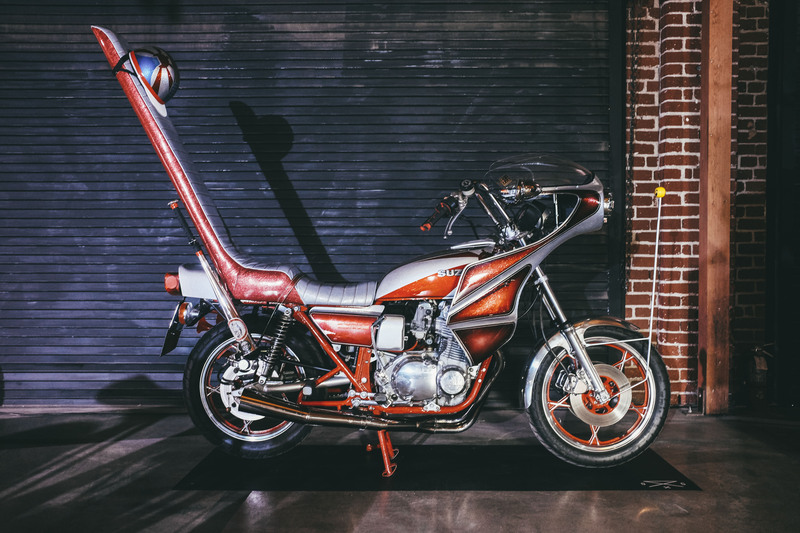 We had the opportunity to attend the VIP Party the night before the Outlier’s Guild Show opened to the Public on Saturday, and spoke with Jay LaRossa about bringing the Outlier’s Guild Motorcycle Show from inception to fruition. 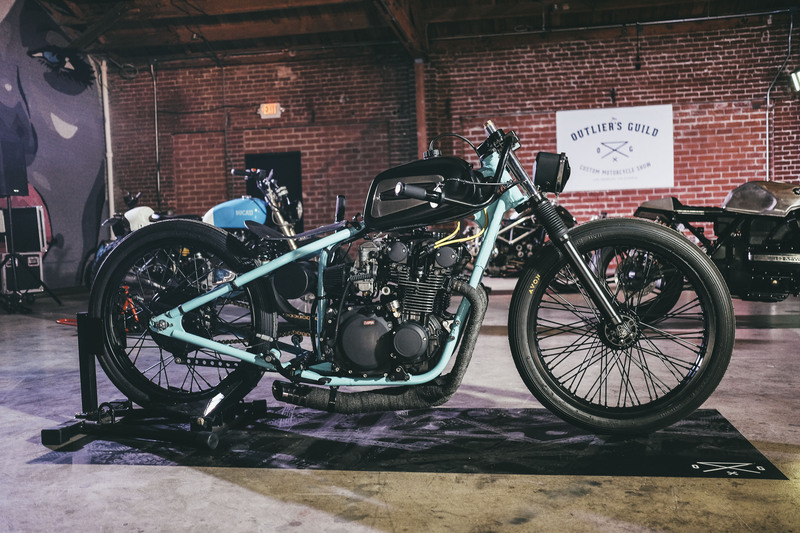 In addition to the beautiful custom motorcycles, the Outlier’s Guild Motorcycle Show featured motorcycle-inspired art and photography. 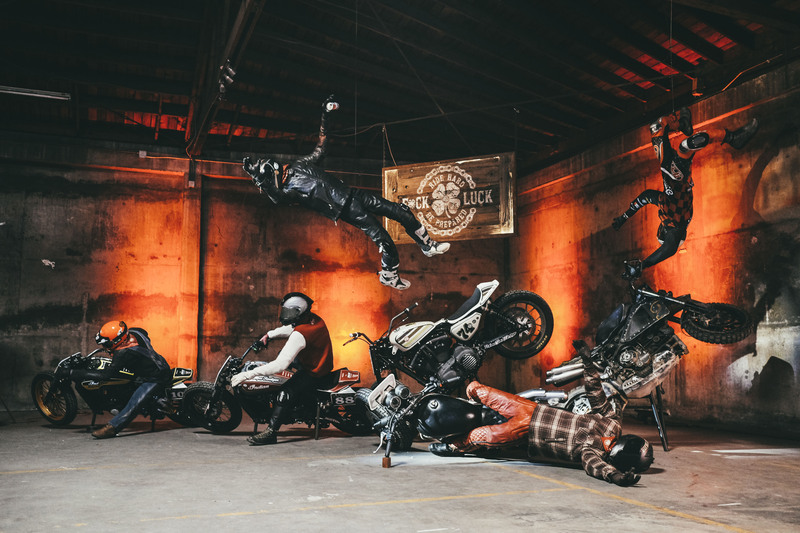 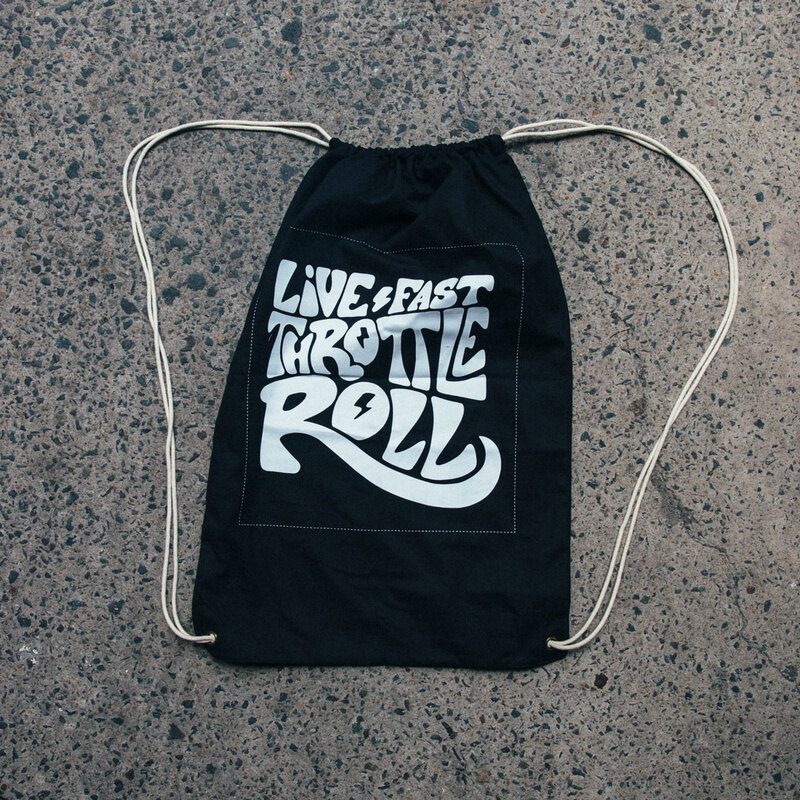 Participating photographers include: CR Steyck, Estevan Oriol, Matthew Jones, Dylan Gordon, Dimitri Coste, Todd Blubaugh, Matt Wignall, Preston Burroughs, and Sebastien Zanella. 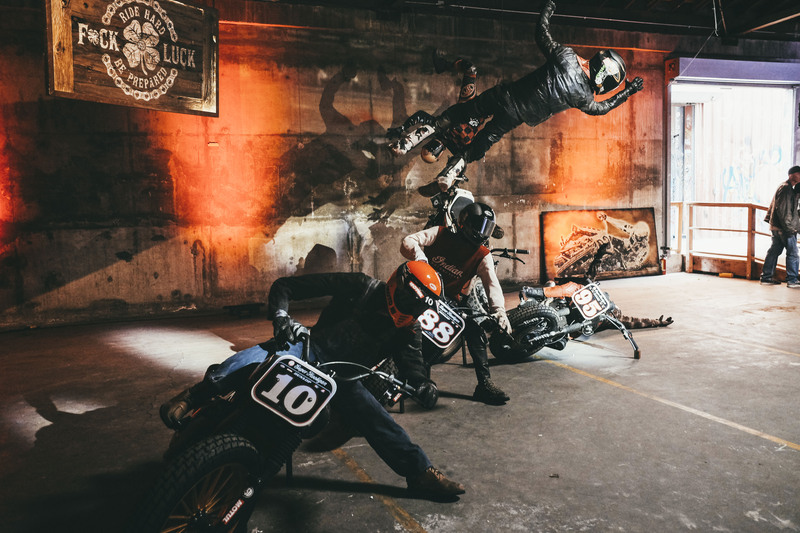 Featured artists include: Steve Cabellero, The Draculas, Carter Asmann, Tyler Cornelius, Andrew Ritter, Skratch, Jen Hallett, Tom McWeeney, and MR44. 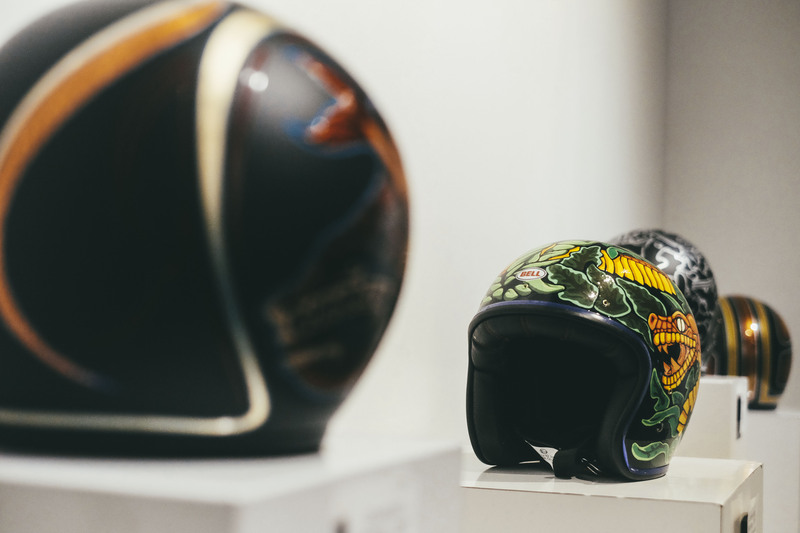 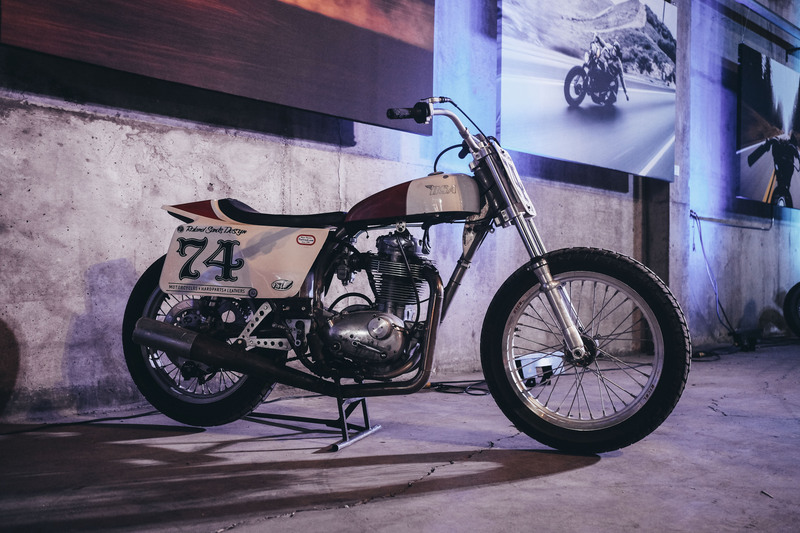 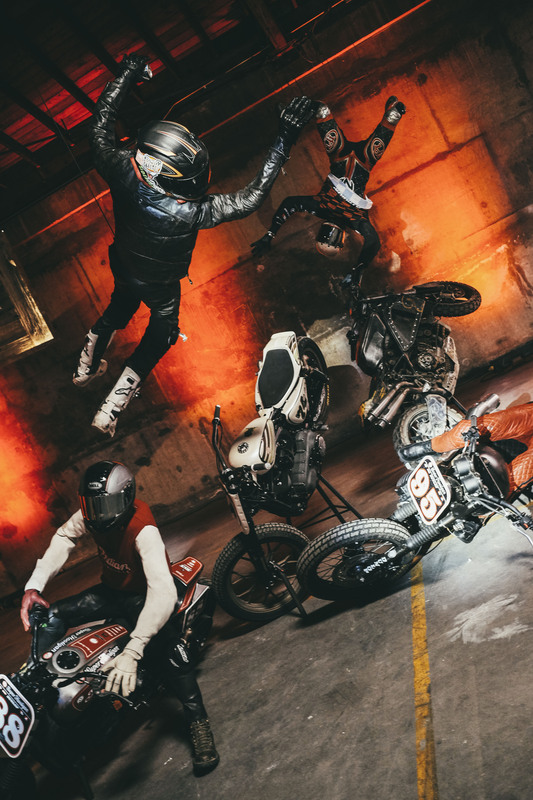 Perhaps the crown jewel of the exhibit was Roland Sands’ “Architects of Inspiration,” an installation piece highlighting the exciting but often dangerous nature of Flat Track motorcycle racing. 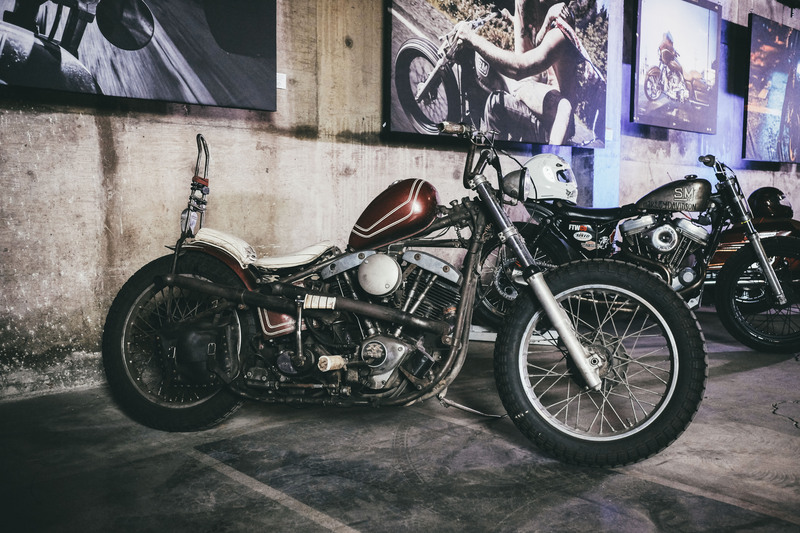 Meta Magazine was also on hand offering limited edition photography prints available for purchase to support, Waves for Water, a charity organisation that helps bring clean water to communities in need around the world. 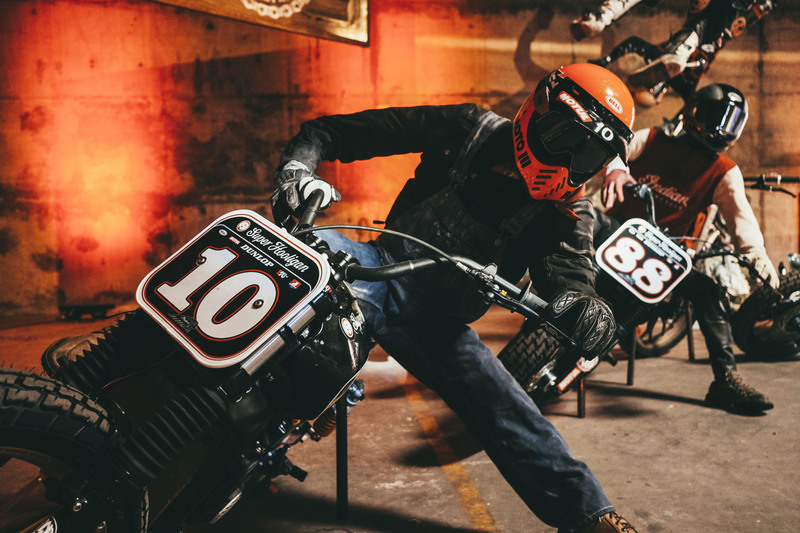 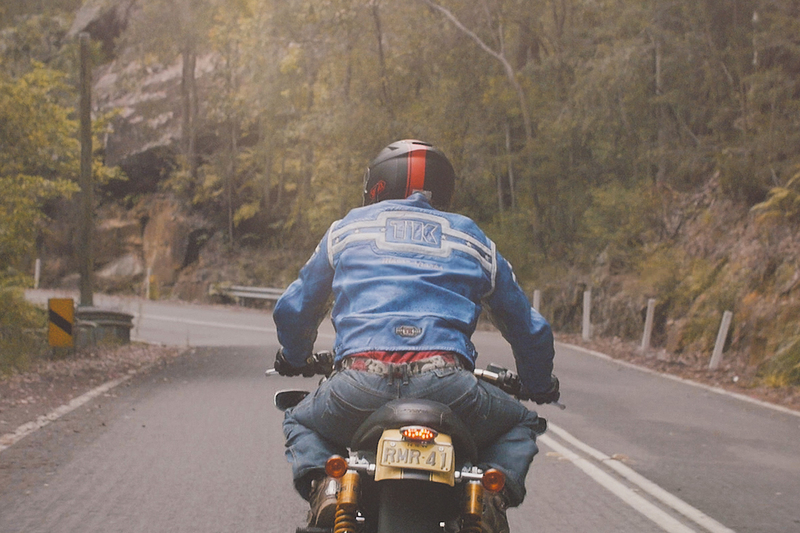 The Outlier’s Motorcycle Guild Motorcycle Show saw in excess of 2000 people on opening day and next year looks to be even bigger. 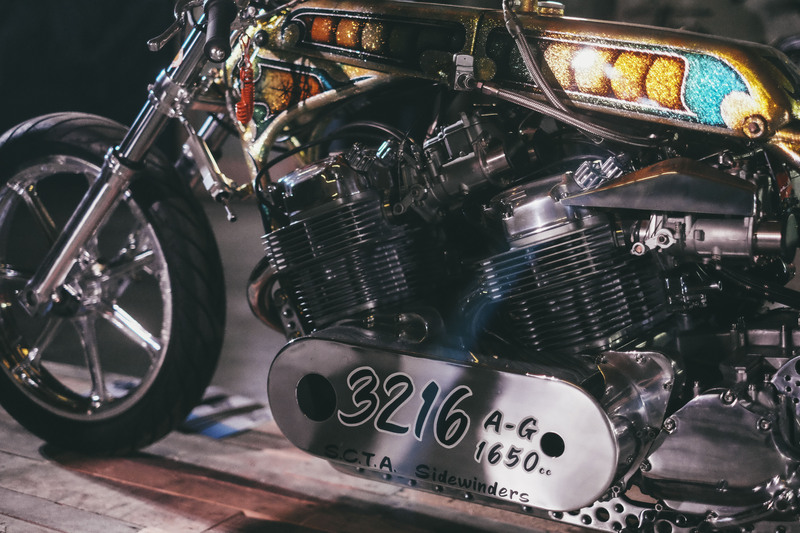 Look for the 2018 Outlier’s Guild Motorcycle Show to fall around the same time in May. 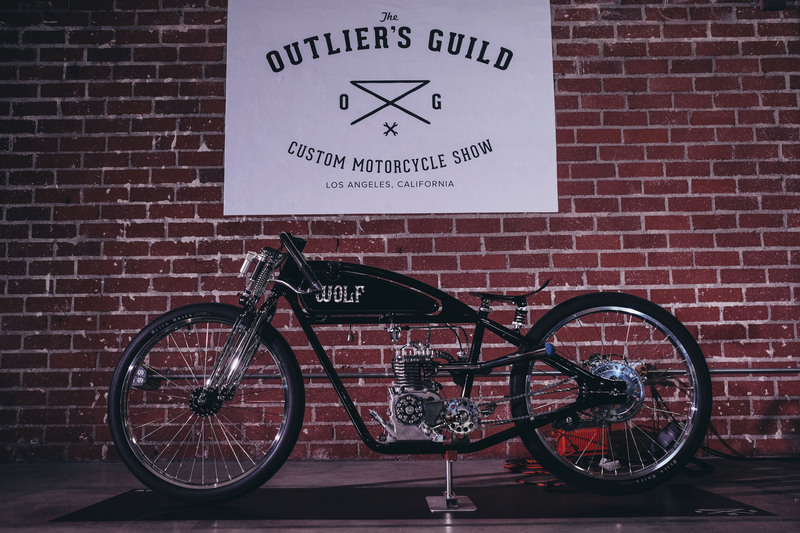 For more information visit, www.ogmotoshow.com and find The Outlier’s Guild on Instagram @ogmotoshow and Facebook www.facebook.com/OutliersGuildMotoshow.